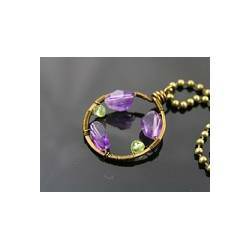 My favorite gemstone combination: amethyst and peridot. This is a smaller sized 24mm pendant, wire wrapped with lovely faceted deep purple amethyst nuggets and micro faceted round 4mm peridot beads. 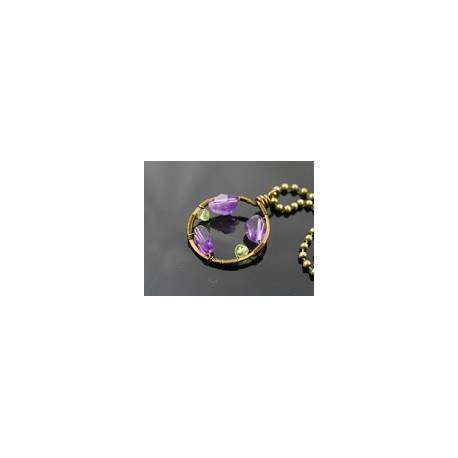 Total length of the pendant is 3cm. I have attached it to a bronze ball chain, measuring 40cm in length. The necklace closes with a ball chain connector.